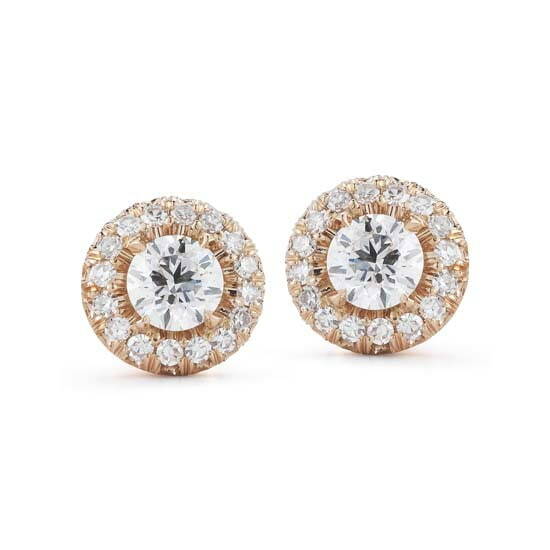 These perfectly matched diamond stud earrings feature round brilliant center stones. Available in a variety of carat weights and shapes, each diamond has a unique inscription number. Shown with 0.20 carat center stones in 18k rose gold.